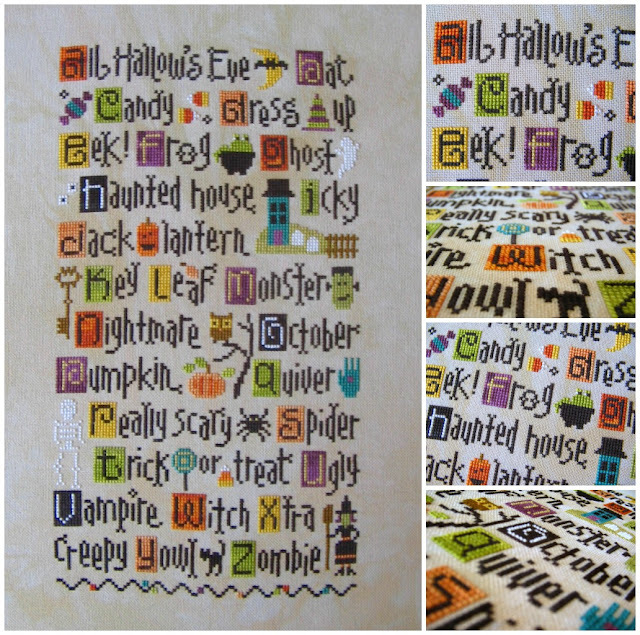 Please join me in a happy dance, my friends, for the ABC Halloween sampler is DONE! Speaking of other stitchy projects, be sure to check in tomorrow. I will be doing my second Christmas in July Stitchalong round-up post. This is stunning. I am itching to sew this but have soooo many other things to do first. Maybe for next Halloween. Great job!!!! Yeah ! You are finished !! So cute ! it turned out fantastic! :) good work! I love,love that Halloween finish-so cute!!!! These are such great patterns. I don't think I've ever seen the Christmas one. I can't wait to see you stitching that one. Your Halloween one is just adorable. Wow it's just so incredible! What a priceless piece! And I can't believe you're already onto the Christmas sample which is equally beautiful - can't wait to watch it's progress too! A gorgeous finish. Look forward to seeing what is next. Congratulations! And I take it back, you work much faster than I do.